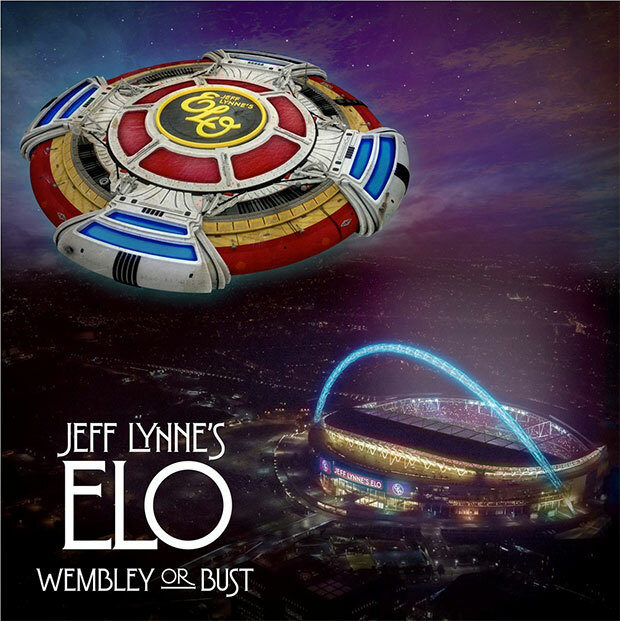 Having released an acclaimed new album Alone in the Universe in 2015, sold out multiple arena tours, and had an induction into the Rock and Roll Hall Of Fame, Jeff Lynne’s ELO will release a live CD/DVD of their legendary concert at Wembley Stadium in June called Wembley Or Bust on November 17th via Sony Music. The project will be available across multiple formats including 2 CD, 2 CD/DVD, 2 CD/Blu-ray and triple vinyl. The film was directed by Paul Dugdale. Most importantly the film includes performances of many of the most beloved songs of our lifetime, from vintage ELO classics like “Mr. Blue Sky,” “Livin’ Thing” and “Evil Woman” to “Do Ya” from his days with The Move, “Handle With Care” which he recorded with the Traveling Wilburys, right through “When I Was A Boy” from the group’s latest album. More popular than ever, Jeff Lynne’s ELO has always been known for its epic live shows and with a distinct style that seamlessly and innovatively blends rock, pop and classical, ELO has had more than 20 Top 40 hits across the U.S. and the U.K., making Lynne’s sweeping productions some of the most recognizable music of the last 40 years and helping sell over 50 million records worldwide.